Sometimes you hear a language learning story that makes you say, “Wow!” Take Gennady’s story, for example. Gennady is a Russian computer programmer who learned English by memorizing more than two hundred English songs using a cassette player and hand-written translations. Watch a minute or two of the video below to see how well he speaks English. Remember that Gennady has never visited an English-speaking country, and when this video was made, he had only talked to native speakers of English a couple of times in his life. If You Memorize Enough Russian Songs, Will You Be Able to Speak Russian? For a long time, foreign language teachers have recommended that their students learn a few songs. For example, Russia’s President Putin learned to sing Blueberry Hill as part of his study of English. Our Language101.com software has from the very beginning had several Russian song lessons like this song by Larisa Dolina. But here’s the really strange part. Apparently if you memorize enough foreign language songs (and I don’t know how many songs you would need to learn), you will eventually become competent in your new language. The Spanish teacher who recorded most of our Spanish lessons also learned English well by memorizing English songs. Like Gennady, he memorized more than two hundred songs. I’ve memorized about fifteen songs in Russian, and while that has probably helped me, it wasn’t enough to make me fluent in Russian. 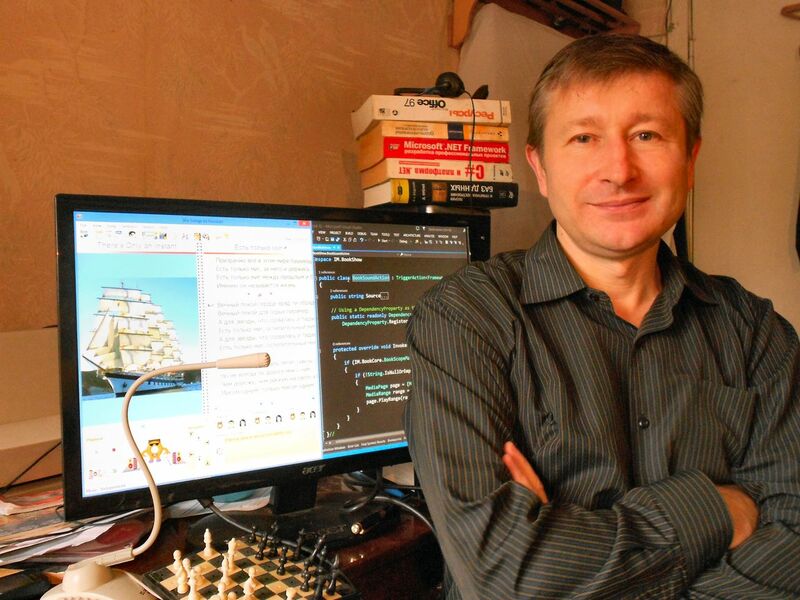 Gennady is a developer of programs for learning Russian with songs. Fortunately for students who want to learn Russian, Gennady has teamed up with Gregory and some of their friends in Voronezh, Russia and have turned their idea for learning Russian with songs into two slightly different computer programs. As you might guess, not all songs are useful for learning languages. Some songs contain lyrics that you can’t understand even if you know the language. Gennady has chosen Russian songs that are easy to understand. He has also chosen classic songs that were first performed years ago and are still popular today. 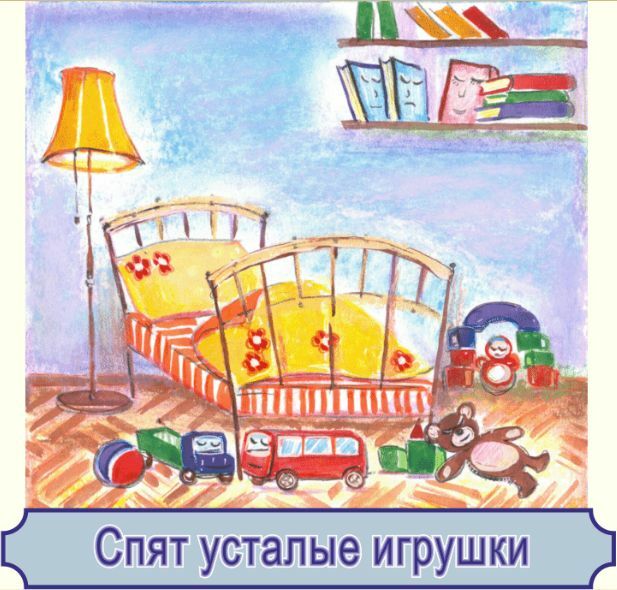 The song “Tired Toys Are Sleeping” is part of Gennady’s program for learning Russian with songs. One of my favorite song lessons is the song “Tired Toys Are Sleeping.” This song was first performed on Russian TV in 1964 and is still playing every evening to end a TV program for children. The melody is lovely, the words are clear, and the poetry in Russian is enchanting. Each of the song lessons starts with a paragraph about the composer, the lyricist, and the performer. This is fun because you get to learn the story behind the song. Then you can play a recording of a male or female voice saying the words one phrase at a time. On the left side is a dictionary list of all the words in the song. There are lots of useful features here, including the ability to record your voice along with the music. Language clubs should definitely get this program for that feature by itself. It’s great entertainment for a language class or language club meeting. Gennady’s first program was called Via Songs to Russian, and it runs on PCs only. It was originally made for Windows 98, but I had no had problem getting it to run on Windows 8. The next version of their program is called “My Textbooks.” My Textbooks runs under the Microsoft Silverlight plug-in for all browsers. The end result after you download everything correctly and press all the right buttons is a stand-alone program that looks sort of like a browser but does not require a browser or an Internet connection to operate. If you have trouble getting either program to run, find your local tech guy and get some help. Should You Learn With Songs Only or Songs Plus Language101.com? Language learning enthusiasts who go on to develop software for learning languages tend to create software that uses the methods that worked for them. That’s certainly true for the team at Language101.com and obviously for Gennady and his friends also. Carefully made language lessons like Language101.com can get you off to a faster start by helping you learn useful phrases on your very first day. Songs can be fun on the first day also, but it’s hard to find a song that will teach you how to say, “Where’s the bathroom?” Perhaps a song could be written to include every useful phrase you might need. We haven’t done that yet. Gregory is also a developer of the Via Songs to Russian program. I am not at all sure that songs can be used without other additional study methods like Language101.com to learn a language. However, I now know two people who have learned English (or so they say) entirely by learning songs. I can verify that they now speak English well, but I don’t know what other exposure they may have had to English that may have helped. Russian is a more complex language than English, and I haven’t met anyone who said he learned Russian entirely by memorizing Russian songs. 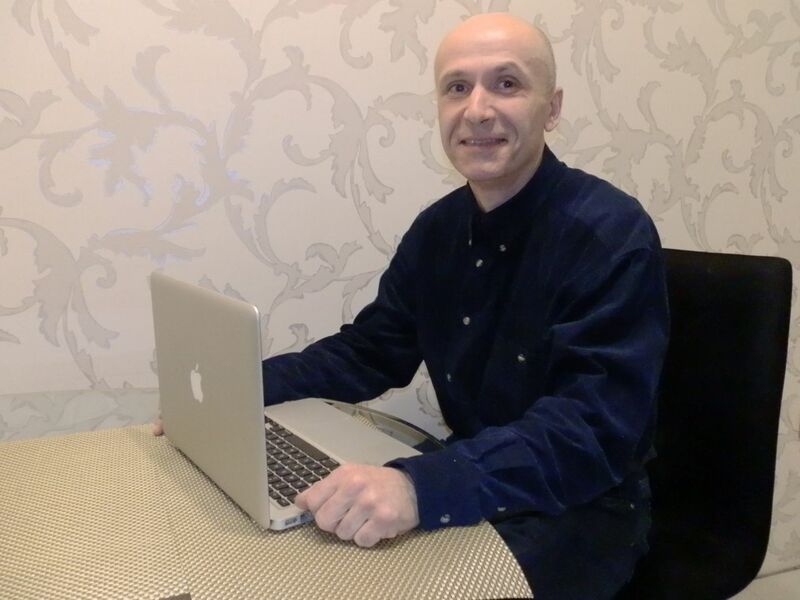 Right now I would have to say that I would recommend Language101.com first for its more practical start, but I also recommend Gennady’s software because it does a great job of teaching songs and has well-chosen songs. At the moment, none of our Russian song lessons use the same songs as Gennady has chosen. Singers will often learn songs in a foreign language without learning what the song lyrics mean. For the song to help you with learning the language, it’s obvious that you need to learn what the words mean. Fortunately, Gennady’s program makes that easy. As you might guess, Gennady’s software does a great job of teaching Russian songs. Hopefully they will add more Russian songs and English and other languages soon. The songs are so well chosen and the interface for learning songs is so good that it will definitely be a good use of your time once you have it installed and running. If you aren’t tech savvy, you may want to get some help from your local tech guy to help you get this running. Gennady, Gregory, and their friends call their project “NeoStandArt,” and the link to their main Web site called “Ask Your Book” is below. Their efforts are completely supported by donations for now, so please be generous. Via Songs to Russian is a stand-alone program for Windows XP through Windows 8. I’ve tested it on Windows 8 and got it to run just fine. My Textbooks Shell is a Microsoft Silverlight plug-in for browsers that results in a stand-alone program that will run on both Windows and Mac. I got it to run just fine on my MacBook Pro. After you download and install My Textbooks Shell, you will be able to download and install the songs. Visit Imtextbook for more details. Learning a Foreign Language – A New Approach Using Foreign Songs – by Gennady Alipatov.